Pentax continues to create state of the art products, since their creation in 1919, both new and of better quality. They collect market research from around the world in order to make products to fit any situation in any country. All of the binocular products from Pentax are made with the highest quality optics and mechanics. They're very serious when it comes to the quality of their products, including safety, and work toward meeting all the required standards. There are approximately 45 types and models of binoculars available from Pentax, grouped into either the compact and full size category, with each category sporting their own series of binoculars, except the DCF which has both compact and full size models. Pentax's compact binoculars include DCF, FB, MCF, UCF, and Papilio series. The FB, Papilio, and MCF Jupiter II are their own series, but the DCF and UCF each have their own ranges within. DCF models are ideal for viewing sports and outdoor wildlife while the UCF models are better suited for hiking and traveling. The full size Pentax binoculars include the PCF, XCF, and DCF series. Pentax binoculars have various levels of magnification available. 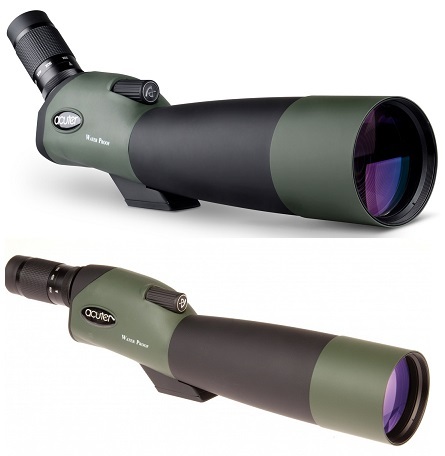 Only three models have a 16X magnification: a UCF X II model, an XCF model and the UCF Zoom II. The UCF Zoom II has a magnification from 8X to 16X. One PCF WP II model reaches 20X. Pentax 10x43 DCF SP WP Fogproof Wide Angle Roof prism Binocular: Pentax 10x43 binocular is ideal for birds watchers, nature view and out door activities. Its body is made up of magnesium alloy for additional strength while keeping its weight at minimum. Pentax AD 8x36 WP Compact Roof Prism Binoculars : Designed for the nature-enthusiast that wants to pack light without sacrificing image quality, the Pentax 8x36 Binocular delivers bright clear images. The BAK4 roof prisms are phase-corrected to improve image contrast and enhance color rendition.